The 2019 Georgia State FinTech Conference took place February 8-9. 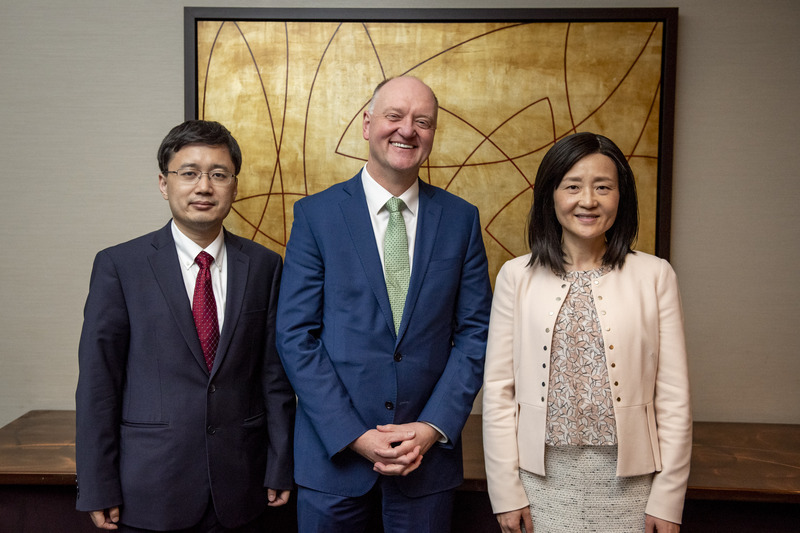 Pictured are Program Chair Baozhong Yang (Georgia State University), RFS Sponsoring Editor Wei Jiang (Columbia University), and former RFS Executive Editor Andrew Karolyi (Cornell University), who was the Keynote Speaker at the event. 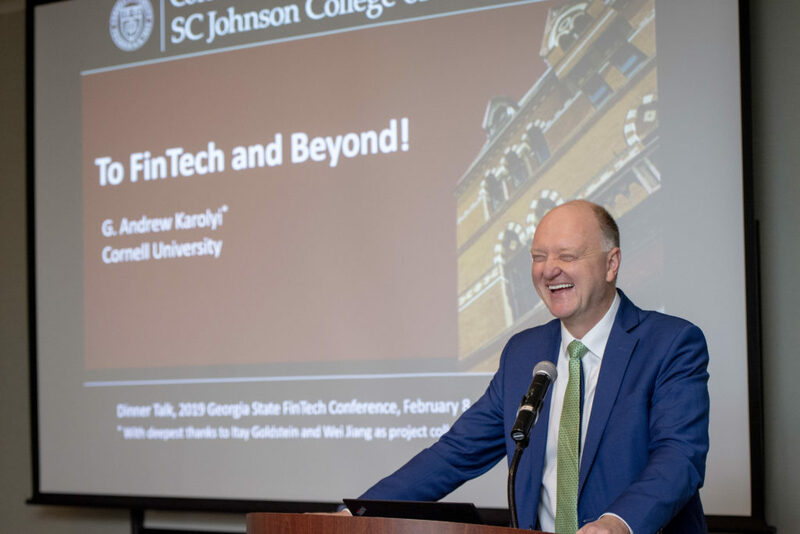 Former RFS Executive Editor Andrew Karolyi delivering the Keynote Speech at the 2019 Georgia State FinTech Conference. For more information about the event, please visit the conference web site. The Editor’s Choice article for 32(3) is “Financing Entrepreneurial Production: Security Design with Flexible Information Acquisition” by Ming Yang and Yao Zeng. You can read the article free online. Oxford University Press’s new virtual issue on trade and economics features “Securities Trading in the Absence of Dealers: Trades and Quotes on the Tokyo Stock Exchange” by Yasushi Hamao and Joel Hasbrouck, from the July 1995 issue of RFS. The virtual issue is free to read online until the end of March on Oxford’s web site. The Editor’s Choice article for 32(2) is “Credit Supply and the Rise in College Tuition: Evidence from the Expansion in Federal Student Aid Programs” by David O. Lucca, Taylor Nadauld, and Karen Shen. You can read the article free online. RFS Editor Ralph Koijen was recently awarded The Fischer Black Prize for 2019. This prestigious award is presented biennially to recognize a top finance researcher under age forty. Congratulations, Ralph! The Editor’s Choice article for 32(1) is “The Cost of Immediacy for Corporate Bonds” by Marco Rossi. You can read the article free online.